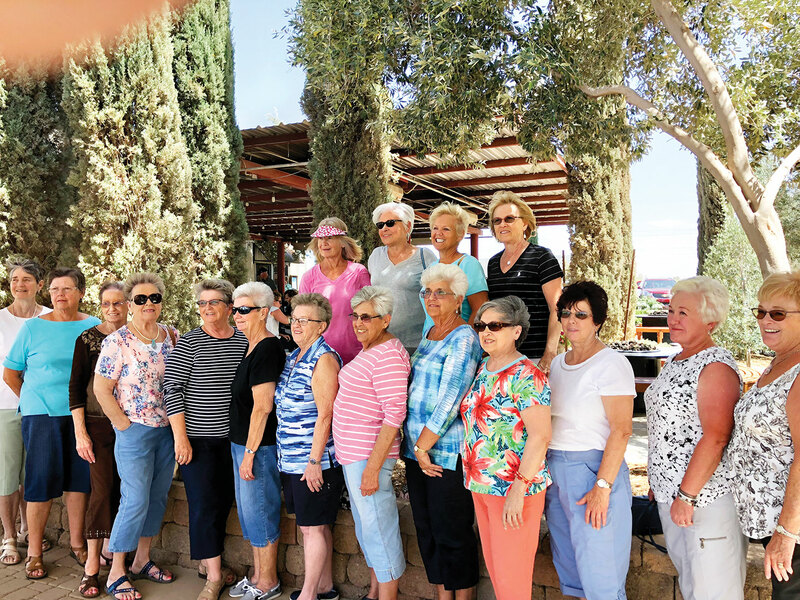 Enjoying friendship, sunshine and a tasty lunch at the Olive Mill on April 12 were members of the SunBird Garden Club. Besides this spring tour, a home tour and a tea, members of the 50-member club enjoy six months each year of programs and friendship. Some members also plant and water selected HOA plantings, including clubhouse annual flowerpots and new trees and perennials. HOA areas by the entrance and near the clubhouse are also weeded by members. Barb Ott coordinated the tour. The group meets again in November, on the second Friday of the month at 9:00 a.m. in the ballroom, and all are welcome.